I’ve been in a bit of a pickle lately… how does one shop in August? Tiny tank tops and swimsuits seem impractical, but I’m nowhere close bundling up for fall. Upon looking through my closet in search of the solution, I found myself drawn again and again to one particular shade. And then the lightbulb went off… blush! 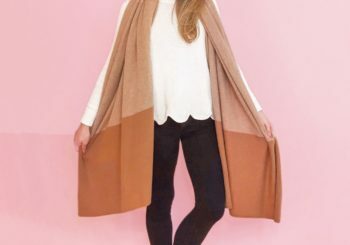 A neutral itself, blush is a wonderful means to take you from summer to early fall. Still light enough to be worn in the many hot days ahead, it pairs beautifully with darker shades (cough cough LEOPARD) and heavier fabrics as well. So when fall and winter finally do roll around, you can layer and mix it to your heart’s delight. 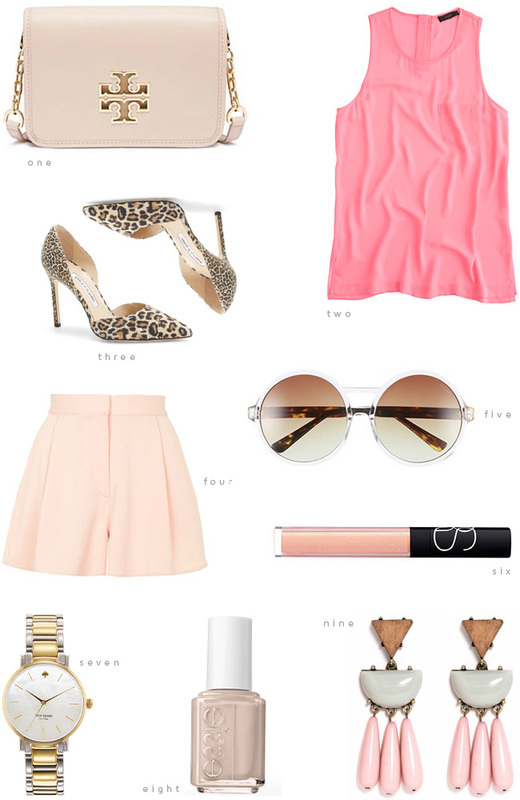 Above is the blush-toned outfit dreams are made of… how dreamy are those pumps and drool inducing earrings?! The one blush item I think you’ve gotta have? A handbag! I’ve loved having this cross body/clutch beauty in my arsenal, and can’t wait to take it through the months ahead. Need something a bit more Mary Poppins-y? Quick! Start a crowdtilt and raid your piggy bank so you can bring this perfection home with you. P.S. The Lilly Pulitzer After Party Sale ends tonight! I picked up three new goodies yesterday and can’t wait to get them in the mail. #happydance Best of luck to you! Loving all the neutral colors. So beautiful for end of summer and early fall! Those earrings are so great!! Love the subtle pop! i am IN LOVE with those shoes! I adore pops of leopard! I adore those shoes! They go with everything! I absolutely love those earrings, they’re the perfect statement piece! I’m obsessed with the blush right now, it’s totally perfect for the fall transition and seriously when is leopard like not a good idea?! What a feminine outfit! I love it. Blush is always the perfect go-to color! Those statement earrings are perfection. I love Blush!